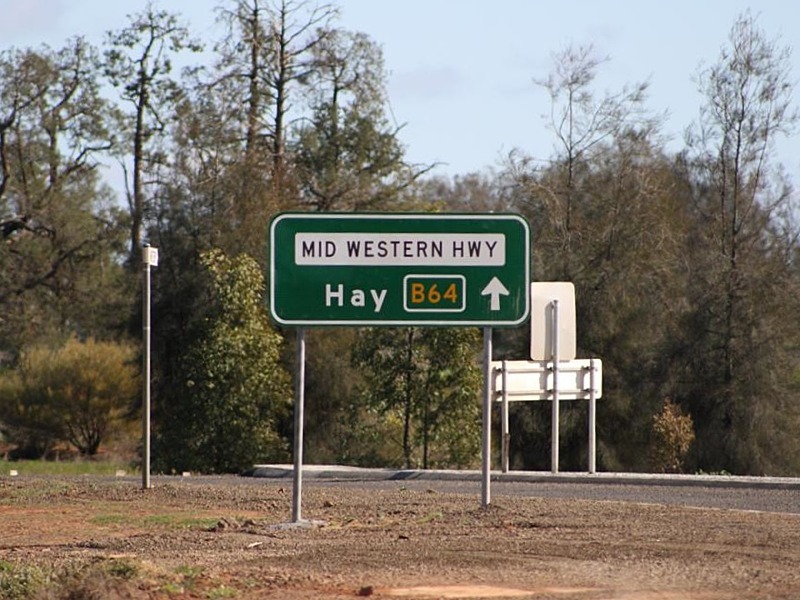 Located in Country NSW, and passing through historic farming country, the Mid Western Highway forms part of the most direct route between Sydney or Brisbane and Adelaide, and consists of mainly two-lane rural highway standard. 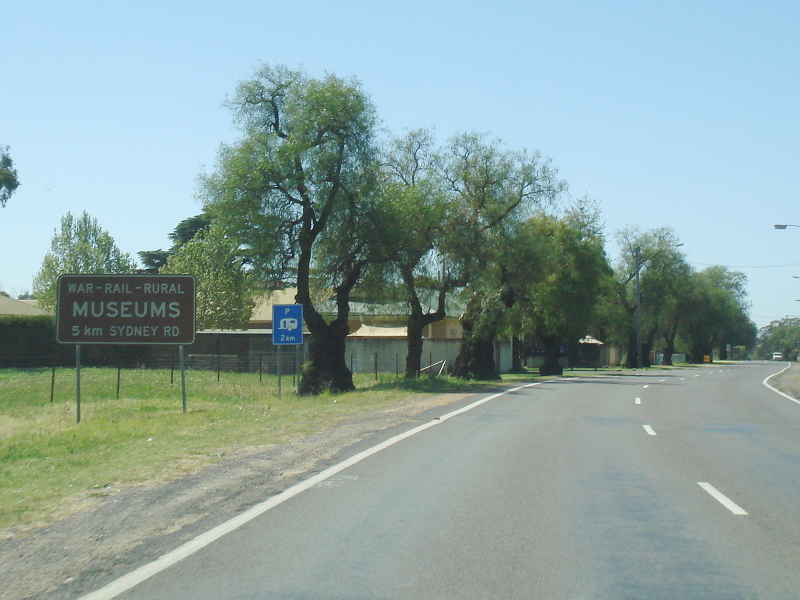 ID sign facing Lachlan Valley Way (B81) at Cowra, August 2013. 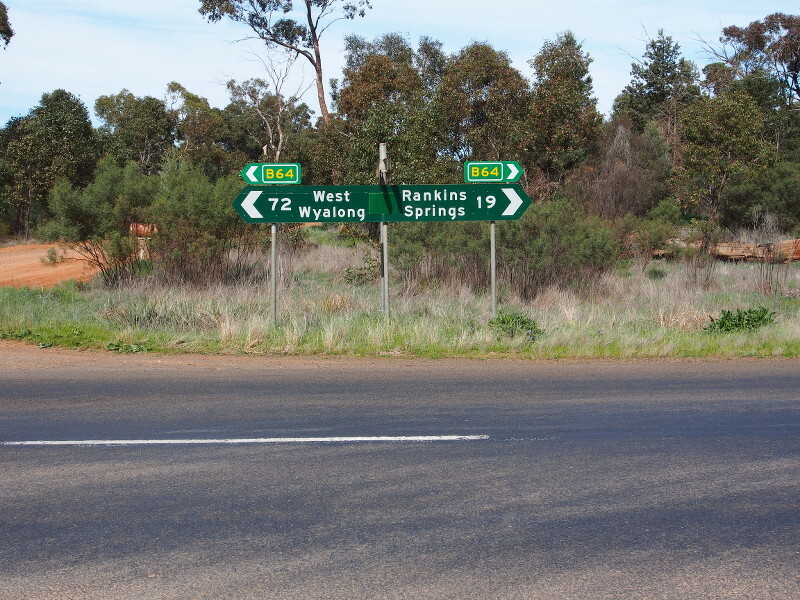 This sign should be prefixed with 'To' beside B64, as B64 doesn't start for another 100m. 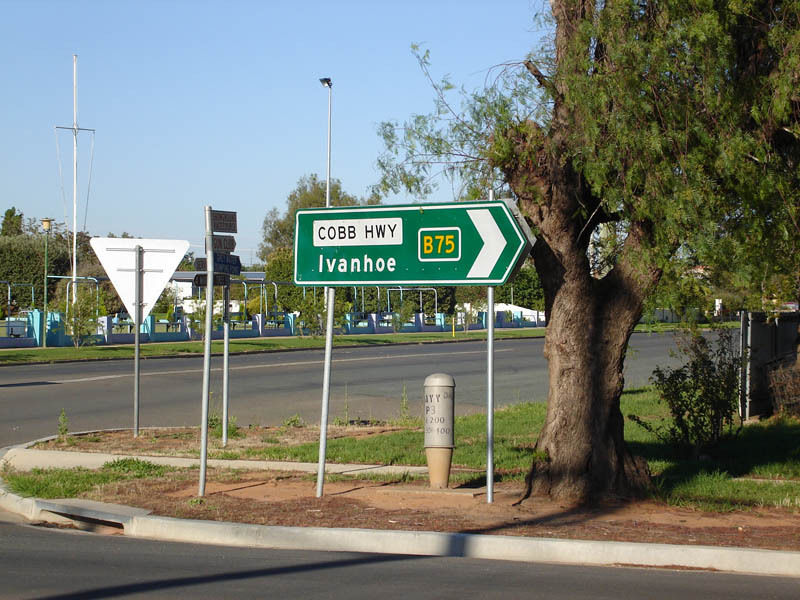 ID sign at the junction of Cobb Hwy (B75), Mid Western Hwy (B64) and Murray St, Hay, December 2007. 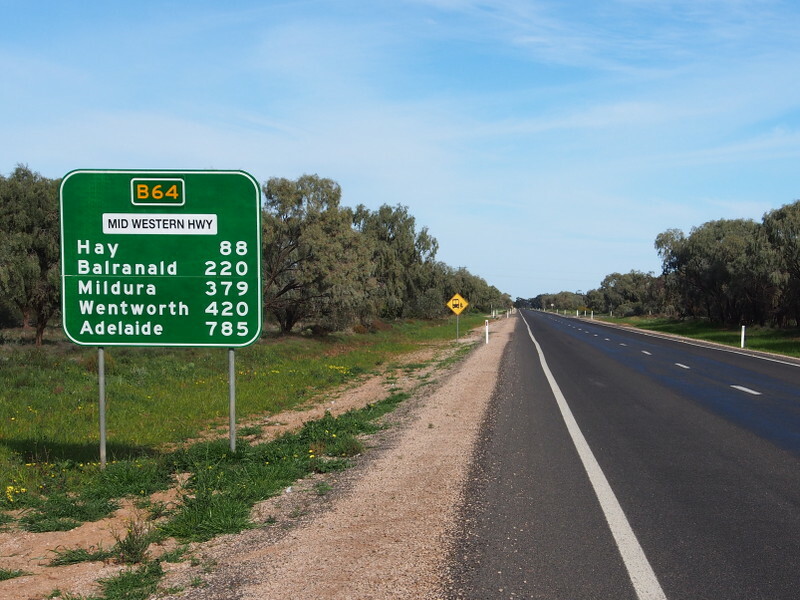 This is the western terminus of B64. 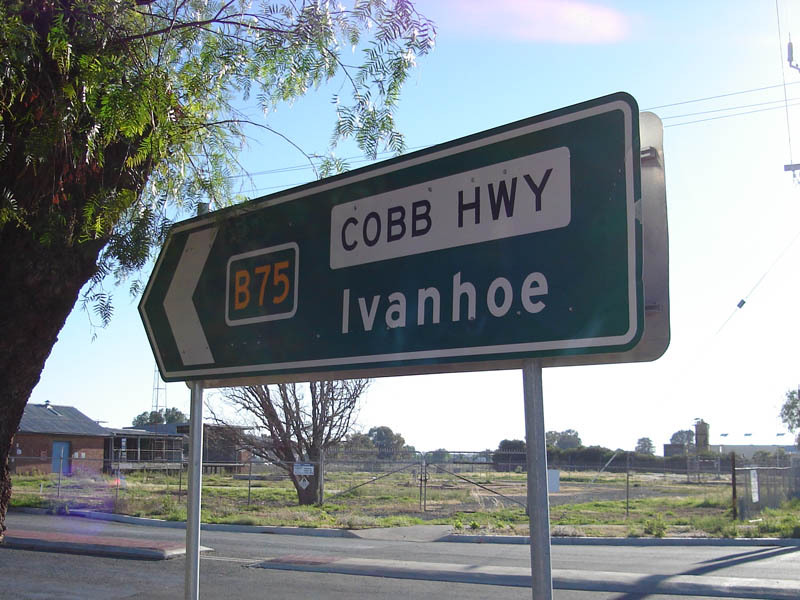 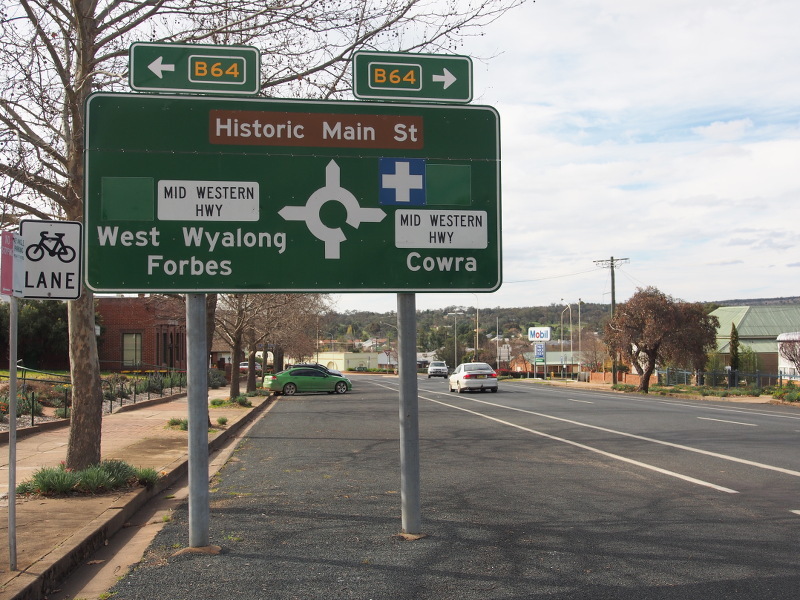 Distance sign as Mid Western Hwy (B64) leaves Cowra, September 2013. 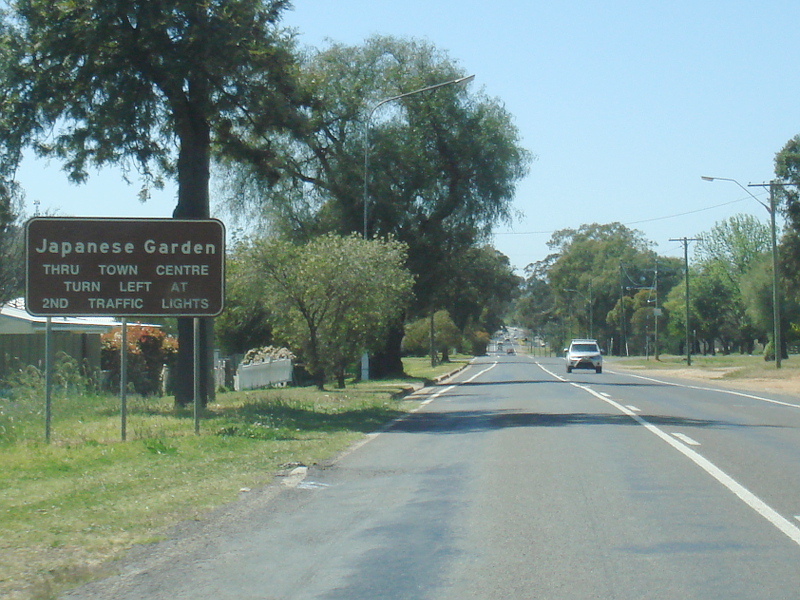 AD sign approaching Weddin St and Henry Lawson Way, Grenfell, August 2013. 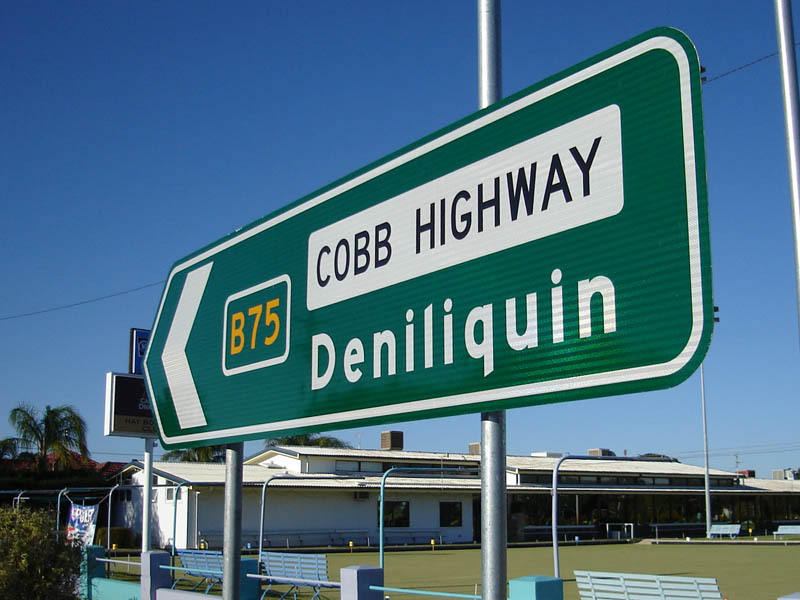 ID sign assembly facing Caragabal-Quandialla Rd at Caragabal, August 2013. 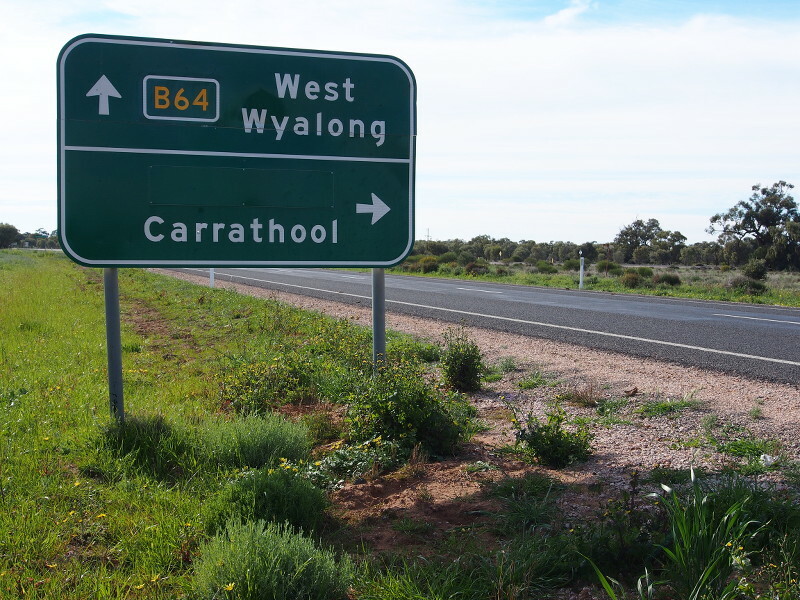 AD sign approaching Wrights Ln, Goolgowi, August 2013. 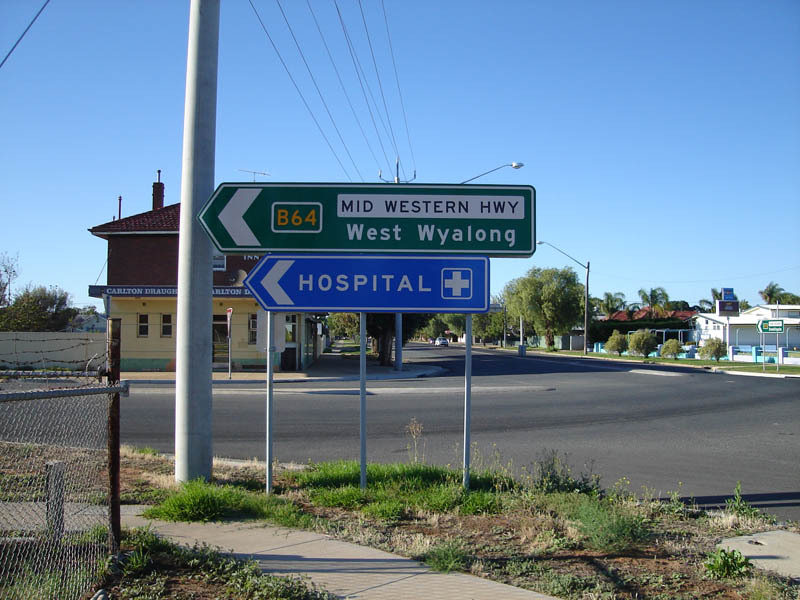 Reassurance directional sign at West Wyalong, September 2013. 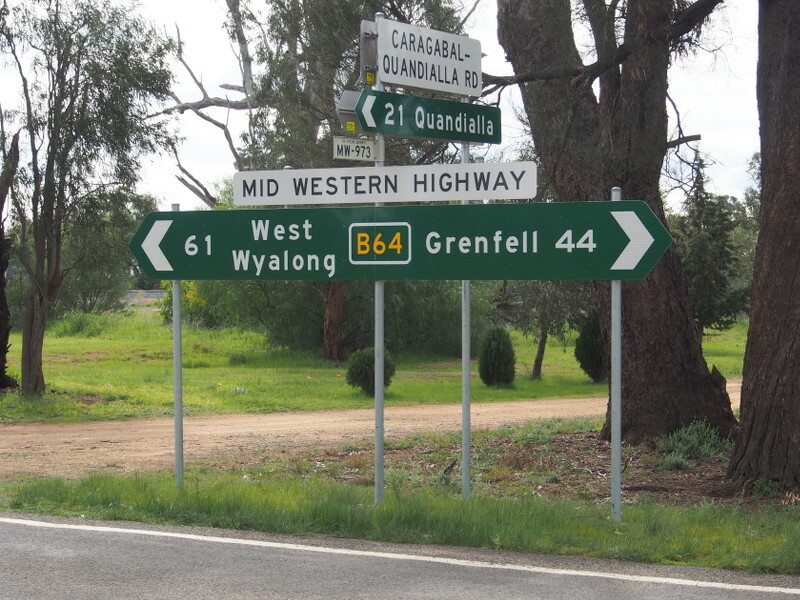 Distance sign after Henry Lawson Way, outside Grenfell, August 2013. 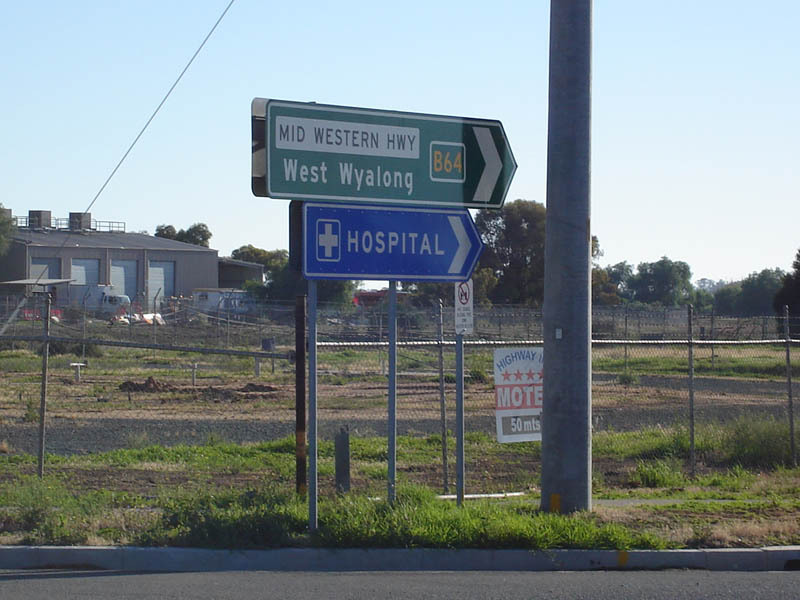 ID sign facing Hannan Rd at Weethalle, August 2013. 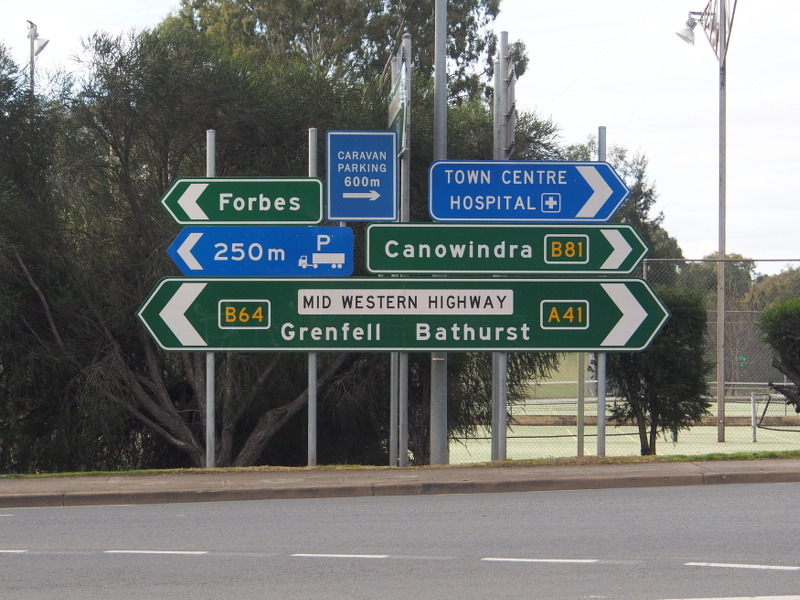 Supplemental advance directional sign with local tourist attractions, as Mid Western Hwy (B64) enters Cowra, September 2013. 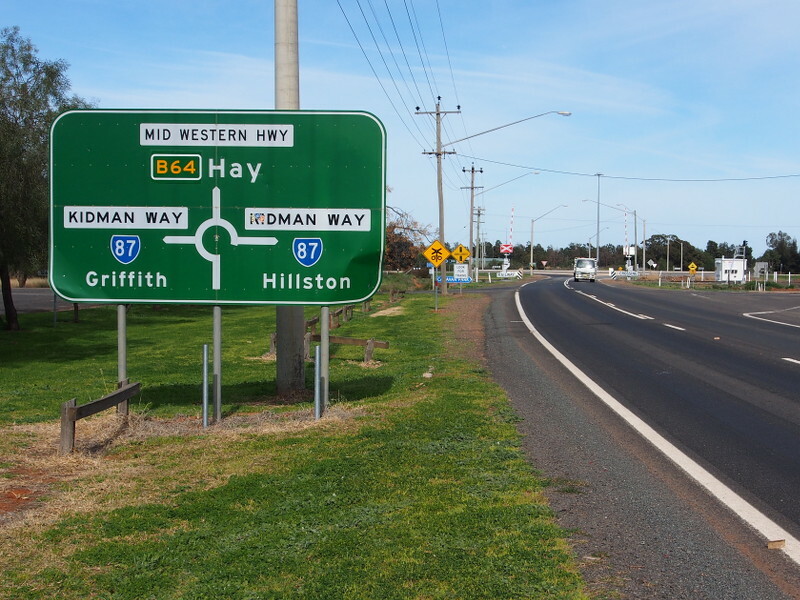 AD sign approaching Kidman Way (B87) at Goolgowi, August 2013. 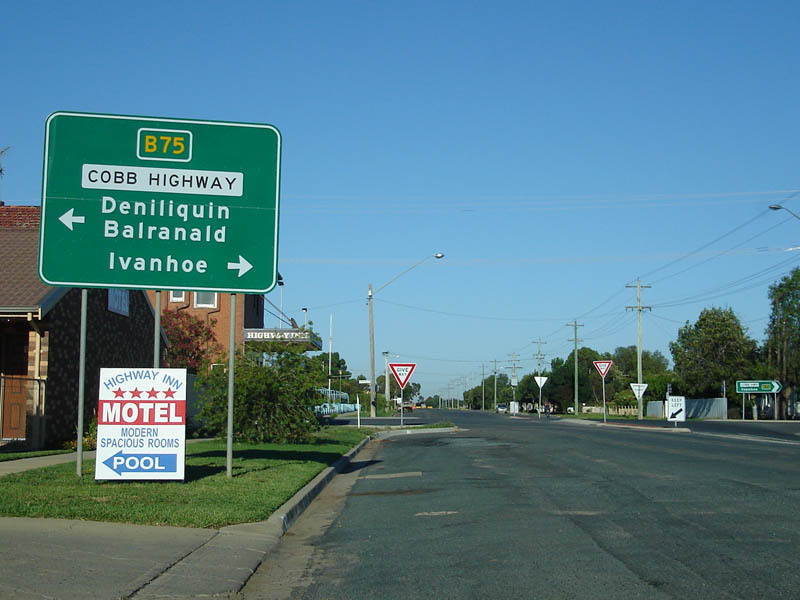 ID sign at the roundabout with Kidman Way (B87) at Goolgowi, December 2007. 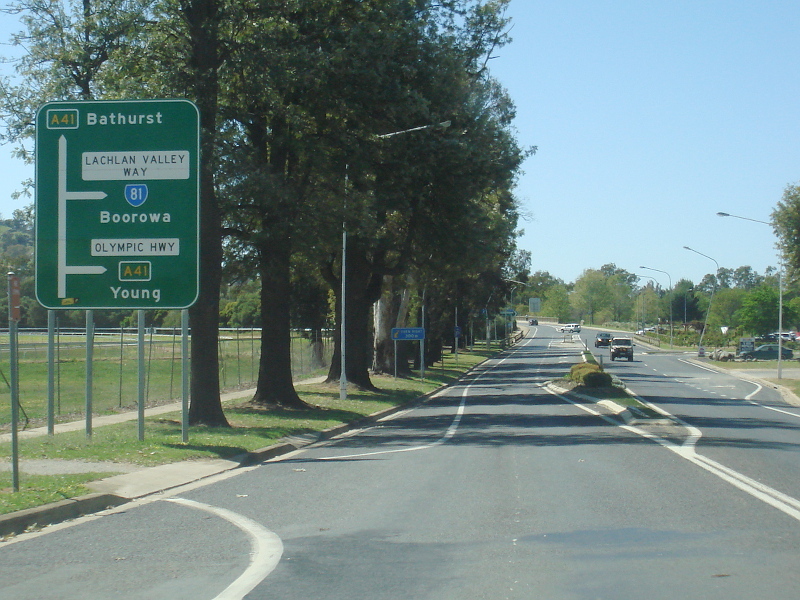 Advance directional sign approaching Olympic Hwy (A41) and Lachlan Valley Way (B81) in Cowra, September 2013. 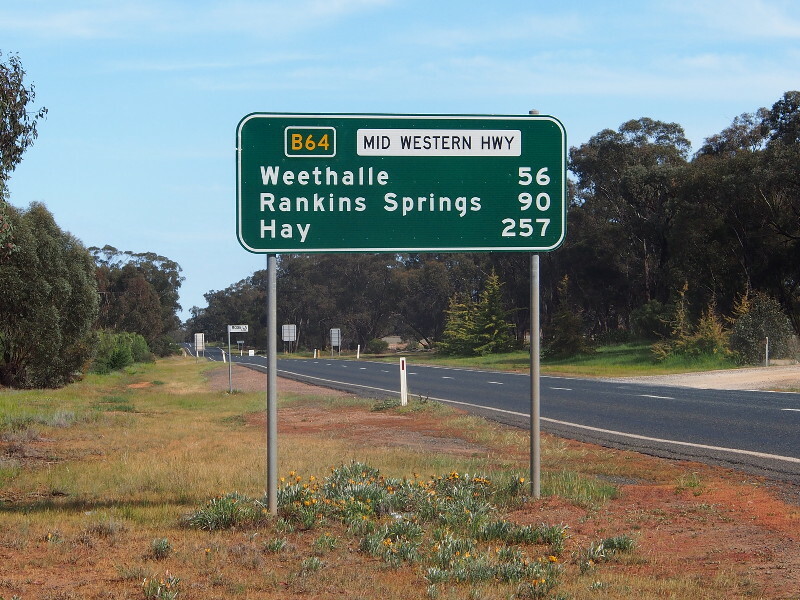 RD sign as Mid Western Hwy (B64) leaves Goolgowi, August 2013. 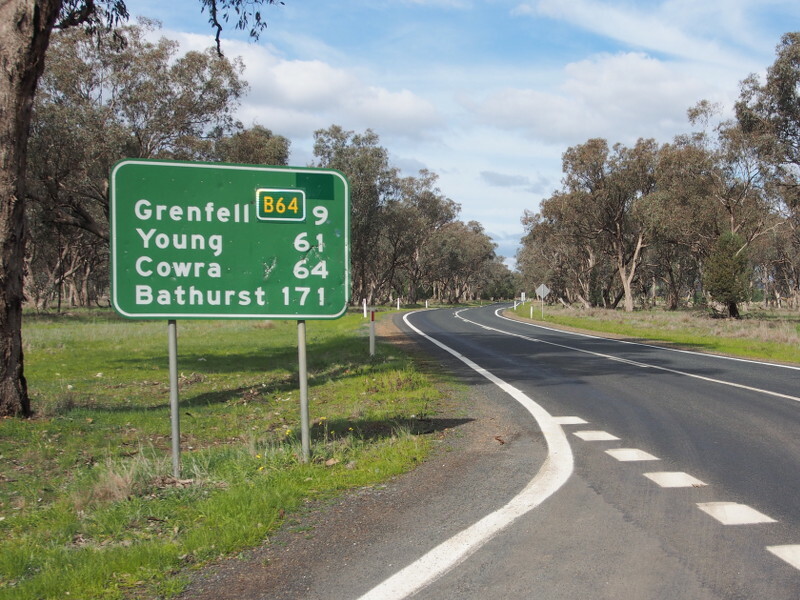 Eastern terminus of B64: the junction with Olympic Hwy (A41) and Mid Western Hwy (A41) in Cowra, September 2013. 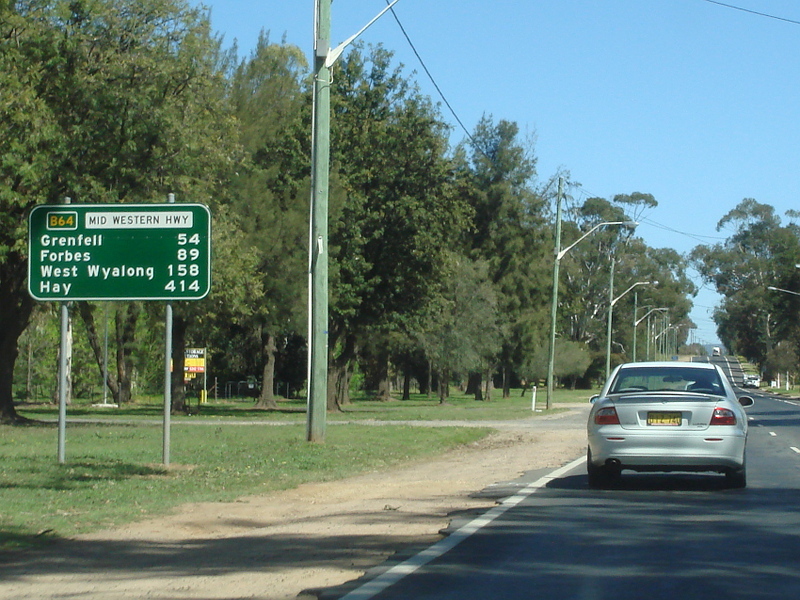 AD sign approaching the junction of Cobb Hwy (B75), Mid Western Hwy (B64) and Murray St, Hay, December 2007. 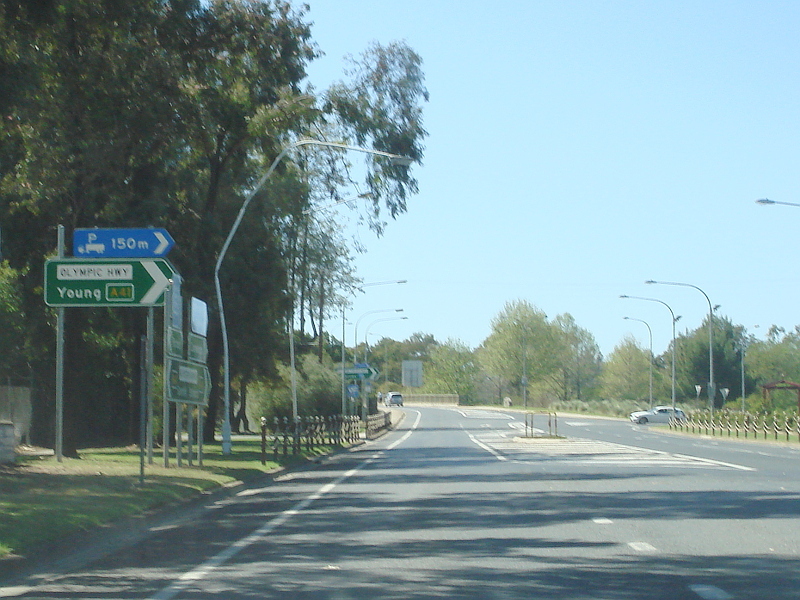 2 Journal of Department of Main Roads New South Wales, Extract from September 1958 issue of "Main Roads"